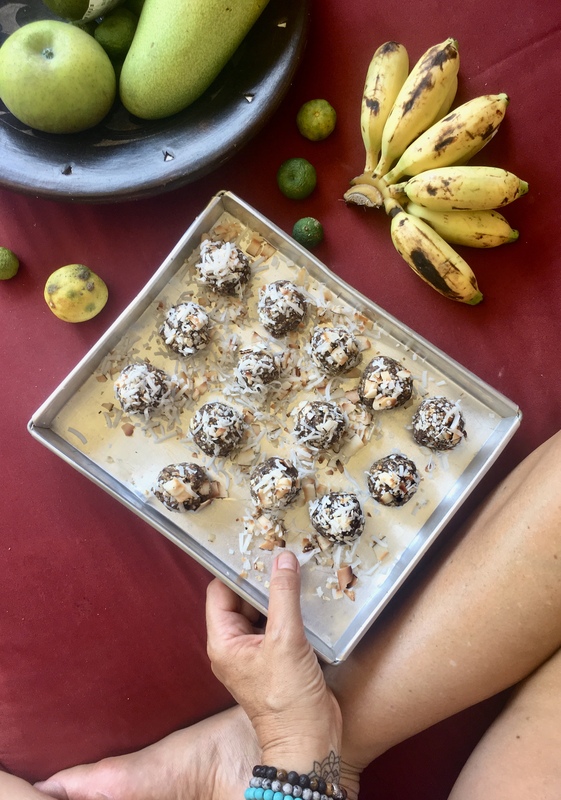 These Bali Roasted Coconut Bliss Balls are little balls of coconut goodness. I get so inspired to use coconut in recipes when in Bali so hopefully with this one, I’m bringing a little taste of the tropics for your eating pleasure! I absolutely adore coconut anything and in Ubud we are blessed to have Tuki’s coconut shop. There they sell everything coconut. Coconut smoothies, coconut ice cream, coconut desserts, cakes and bars, coconut butter and best of all roasted coconut flakes – my favourite! This is what makes these bliss balls so special, the roasted flavour of the coconut. You can find roasted coconut at most supermarkets these days. If you can’t, plain shredded coconut is fine too. Makes 16 balls approx. Combine all ingredients in a food processor (except for extra roasted coconut for rolling in). Process until breadcrumb like but sticky. PS. 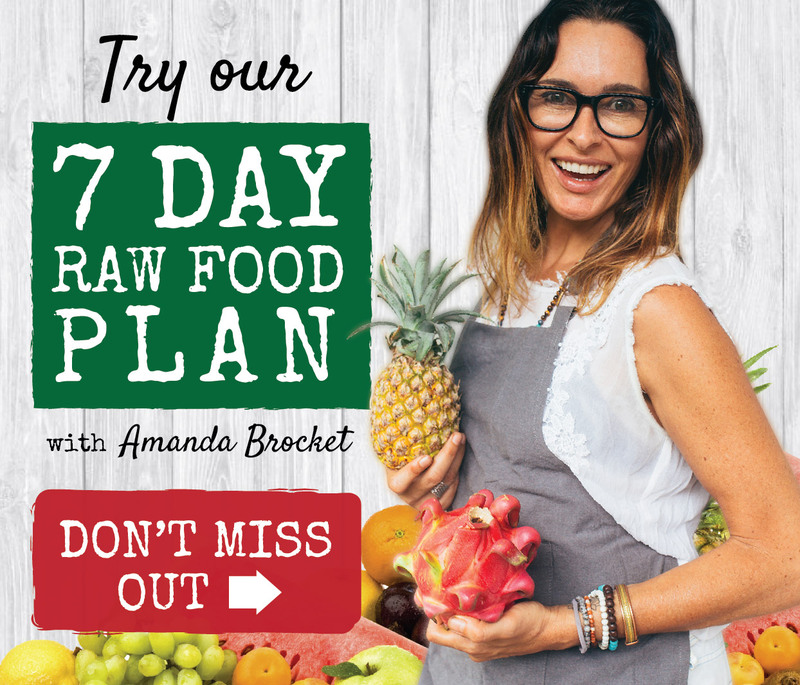 If you would like to experience what it’s like to go raw for 7 days with easy, no fuss, yummy recipes check out my 7 Day Raw Food Plan here. Meal Plan, recipes, done for you shopping list, bonus recipes, videos and more from me! It’s the most delicious detox for your mind, body and soul!